pocket bike wholesale, Is that discount real though? 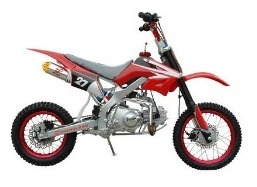 Cheapest of the cheap – wholesale mini motorbikes. Pocket bike wholesale bargains have become a sought after item in the mini-moto community. Getting a bike wholesale can be hard to do, but some stores do offer great bargains. Not surprisingly these mini dirt bikes are selling as well as their bigger brothers; and are ideal to put on a dirt track (within reason) to get the thrill of motocross for MUCH less cost. With such bikes they have plenty of power and grip for their size, so use them well and as always stay safe. Mini dirt bike wholesale prices are becoming easier to find - but getting a pitbike "wholesale" might be a lot harder. What do we mean by that? Well it’s never been easier to buy a fast mini bike, or indeed a used mini bike for incredibly low amounts of cash. BUT wholesale priced motorbikes are trade only deals – if you’re in the trade you’ll have access to them, otherwise buyer beware. That’s not to say you won’t see closeout sales, stores going broke and having a stock clearance, and picking up used bikes that are unwanted presents for stupid money. All these cycles could be considered "priced at wholesale". Let’s head straight to ebay and see if we can draw in a few deals that have brilliant value. First we found a Cobra 50cc mini bike (in Honda red) for £199.99. With new tires, a pro bike racer carb and proper 50cc decals in vivid colors it looked stunning. Ebay also offers extreme racers, many a replacement part such as a pitbike fuel tap selling new at £6.84. Plus we also found a motorcycle dust cover, for a baja motorsports bike for less than £400 and a frame kit for very low money. 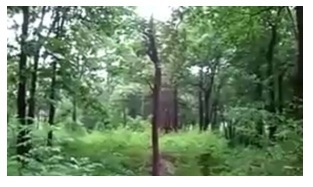 Further down the trail we poured over ghostracingseries.com. They were selling a pocket motorbike (a 49cc Mini Motard) at a buy it now value of £129. It comes with a 49cc, 2 stroke pit bike engine, full mini bike suspension and will carry up to 10 stones in weight – excellent price! 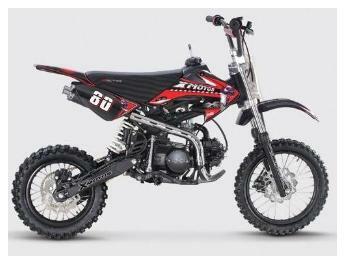 If you want more excessive fun they also sell a PY80 Mini dirtbike. Styled on the Yamaha PW80 – it’s a cheap ride suitable for ages 6-12 years; and all this for £349.99. Now thats pocket bike wholesale prices! But being a copy – you’ll have to decide for yourself if the quality is good enough. Finally we looked at giobikes.com. They have the GIO X20A 50cc 4 Stroke Dirt Bike offered up at C$499.95 (Canadian dollars that is). 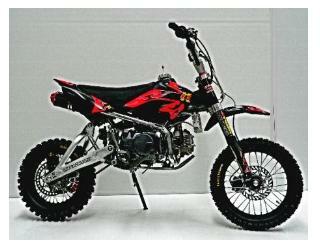 And a GIO X21D 110cc 4 Stroke Dirt Bike on sale at C$599.95. For the extra hundred you get a little more punch. A big branded off road mini racer (like the yamaha PW50) may set you back more money; so think about non-branded bikes as well – especially if you want a cheap thrill and will be using them less often. A Very cheap pocket bike? Pocket Bike Wholesale and a Gift Gone Wild. Design a gift for your kid and see what happens to the market, even if it is the pocket bike wholesale market and the gift is a small toy motorcycle made by a mechanic named Asif, from Meerut, Uttar Pradesh, India, for his four-year-old son. Asif runs an automobile repair shop and thought it would be fun to build the pocket bike as a special treat for his boy. The bike, about 1.3 feet high and 3 feet long, tops out at 37 miles per hour in speed. It is a gearless bike with alloy wheels, double silencers and disc brakes. People who see it or hear of it have been dropping by to see it in action or ask for a test ride. 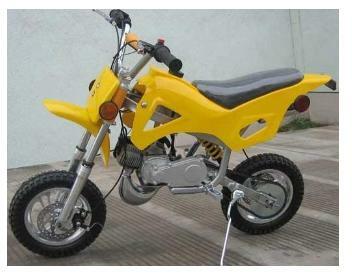 It is a very colorful bike and the offers would make the pocket bike wholesale dealers go wild. Asif says he has been offered purchase prices of five to ten times the amount of his cost to build the bike, but is not interested in selling the labor of love that his son loves to ride. Once he decided to make the bike as a gift, he listed the features that would make it perfect and put it together in 6 months. Safety and reliability come first, evidenced by the lesser speed, but mileage, power and appearance are comparable to that found on larger sports bikes. The bike is so small just one person can sit on it, but an adult is always with his son when he is riding. The low height and weight enable balance and the ability to perfect good riding skills, something that pocket bike wholesale offers often put in their literature or sales pitch. The generator engine was built elsewhere and the remainder of the bike was created with the help of mechanical knowledge. The pocket bike wholesale representatives might want to stop to look at the effectiveness of this gift gone wild. They might be able to build better, cheaper minibikes (But perhaps not this wild). The benefits of Pocket bike wholesale prices. The cheap mini pocket bike. The pocket bike or pit bike as we like to call them are cheap. Really cheap! The reason you’re possibly looking for wholesale prices is to shave even a few more dollars off the cost of a mini bike. Sadly unless you are in the bike trade (or running a motorcycle business) wholesale prices will not be around; but you’ll be buying off clever marketers that will persuade you they are legit wholesalers. Don’t be fooled, but just look at the bikes and then the cost. The Chinese bikes will be cheap new, and even cheaper used. The better made cycles will cost a few more dollars new and have better value used – but more than likely be a hundred dollars more than their Chinese counterparts. That’s demand and supply – but great bikes are around and going for silly money. It’s better to buy a cherished example of a well-made bike, that’s a few years old, than waste hours finding a wholesale priced bike. Try not to fall in the trap of believing you’re getting a genuine wholesale bike that’s actually retail.